When arthritis or trauma causes pain in your shoulder, knee or hip and other therapies don’t provide relief, you may have to consider a total joint replacement (over 500,000 of these are performed in the United States each year!). In that event, you’ll want an orthopedic surgeon with the training, skills and resources to treat your condition. Whether you need knee replacement, shoulder replacement or hip replacement Dr. Torrance Walker can help you today. You’ll find all the care you need with Dr. Torrance Walker in Dallas-Fort Worth, TX. Dr. Walker also works with dedicated physical therapists and a friendly, helpful professional staff. You’ll always be seen by Dr. Walker and he’s always available to answer your questions and deliver highly personalized follow-up care. Total joint replacement is major inpatient surgery performed under general anesthesia. Dr. Walker will remove the damaged natural joint cartilage and replace it with a prosthesis. The materials used in joint replacements vary, are recommended according to each individual’s needs and are designed so that the affected joint moves as normally as possible. Dr. Walker also performs these surgeries in hospital operating rooms, using advanced technology for improved accuracy. Visit our interactive health library to learn more about total joint replacement, including minimally invasive knee joint replacement and total hip joint replacement. When appropriate, Dr. Walker also performs partial, or “unicondylar,” knee replacement, replacing only the damaged portion of the joint. This lets selected, qualified patients shorten or avoid hospital stays and eases recoveries. Dr. Walker uses the most advanced technology to reduce postoperative discomfort, scarring and recovery time. He has been trained in the robotic arm-assisted partial knee resurfacing procedure. This innovative treatment allows Dr. Walker to precisely position the implant and preserve healthy cartilage, ligaments and bone, resulting in more natural knee movement following surgery. Visit our interactive health library to learn more about partial knee replacement. Dr. Walker does everything possible to keep you comfortable after surgery, including pain medication and physical therapy to control pain after a hip, shoulder or knee replacement. Joint replacement patients may also receive a nerve block to dramatically reduce their pain after the procedure. Dr. Walker performs minimally invasive, muscle sparing surgery including the anterior hip replacement and uses a Rapid Recovery program. This combined treatment regimen facilitates an earlier hospital discharge, earlier ability to walk without a walker or cane, and better pain relief. Patients often begin walking the day of surgery, usually starting with a walker aid. Patients may experience temporary pain in the replacement joint, but this generally improves within a few weeks. One of Dr. Walker’s associated physical therapists will design a treatment plan aimed at improving your strength, flexibility and endurance, while speeding your recovery. Don’t suffer with unnecessary pain and lost mobility. If you suffer from pain or discomfort in your joints, there is relief. 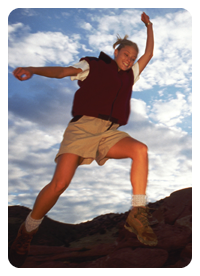 Call an orthopedic surgeon you can trust. The leader in joint replacement surgery, Dr. Torrance Walker can help you. Contact us today to learn more. Call today to schedule a convenient appointment to discuss your concerns about joint replacement. Call Dr. Torrance Walker in Fort Worth and Irving, Texas at 972.392.3330 or use our Online Appointment Request Form. Our joint replacement patients come to us from Richardson, Fort Worth, Garland, Frisco, Irving, Dallas, and Plano.